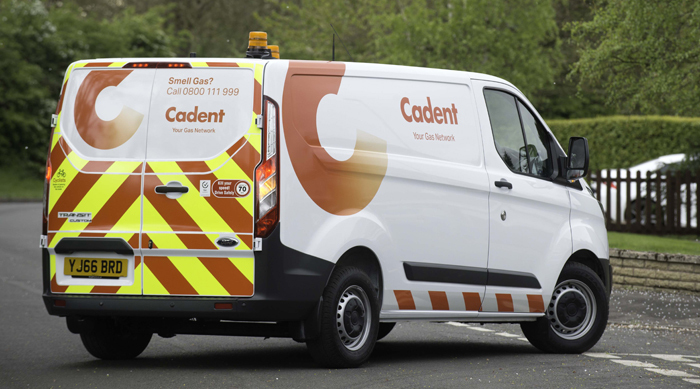 National Grid Gas Distribution is to be renamed as Cadent starting this Tuesday (2 May) following the sale of a majority stake in the business to an international consortium. Chris Train will stay on as the chief executive of the rebranded company, which was recently separated from the rest of National Grid. The firm owns and operates four gas networks in north London, the North West, the East of England and the West Midlands. They together serve roughly half of all connected households in the UK. Train told Utility Week the new identity, which has been in the works since September, took inspiration from the “cadence and movement and flow of energy”. The aim, he said, was to find a name which is easy-to-say, makes a “statement” and marks a clear change from the previous branding. The company will take a year to complete the rebranding process, with most of the work due to happen over the summer. Train said the organisation will seek to retain the strong community links which it has built up through a “200-year legacy” delivering gas to customers in Britain. The separation from National Grid will give the business greater “clarity and focus” in this regard. He said there is “no one right solution” to the decarbonisation of heating but there are significant advantages to repurposing distribution networks to supply low-carbon gas. Drawing attention to the work the company has done to drive forward the use of natural gas to fuel heavy goods vehicles, he said the recent debate over diesel pollution in cities offered a “great opportunity” for the company to make inroads into the decarbonisation of transport. National Grid Gas Distribution was the only gas distribution network in Britain which failed to meet all of its RIIO targets for customer service in 2015/16 according Ofgem’s annual report.